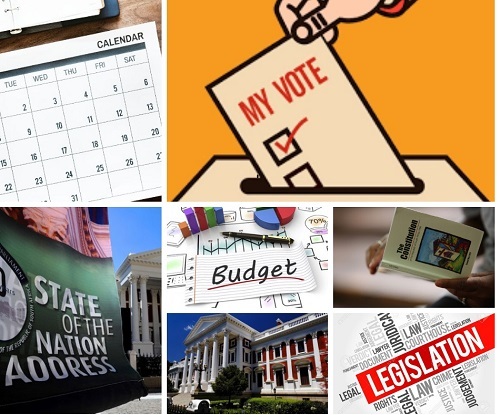 It’s an election year so we can look forward to a frenetic schedule and disjointed calendar as the National Legislature is first dissolved and later re-constituted after the elections. We can also expect an unpredictable timetable and two State of the Nation Addresses. The Fifth Parliament term ends on 6 May. According to the Constitution, elections must take place within 90 days after that, so no later than 5 August. The election date has not been proclaimed but indications are that it will be in May. In the remaining days of the Fifth Parliament, political decisions will have to be made about what outstanding parliamentary business can be dropped due to lack of time as MPs actually depart by 29 March 2019 to go and campaign. However, MPs can be called back for “emergency” business right up until 6 May. If one recalls, this did happen at the end of the Fourth Parliament in April 2014 when MPs had to return to scrutinise former President Zuma’s response to the Public Protector’s report on Nkandla.